Save money and get to Mount Snow Resort this month for bluebird days like this when you buy lift tickets ahead of time. Photo by Mike Dawson. Ladies! Get out to Sugarbush this month for their Women's Discovery Camp to improve your skills and have fun on the slopes. Photo by John Atkinson. Close out the first month of 2018 with Vermont’s ski and snowboard resorts. Enjoy money-saving offerings, live music, women’s clinics, skimo races, torchlight parades and more with these late January events and deals. Expand your wine palate with Trapp Family’s wine series this month. On January 17th try Sauvignon Blancs from France, New Zealand and the United States. Tasting cost $20 per person and begin at 4:00 pm. The annual LGBTQ pride celebration in Stowe, Vermont, which coincides with Stowe's Winter Carnival Festival, attracts hundreds of LGBTQ skiers, riders and winter enthusiasts to the quaint village of Stowe for five days of wintry bliss. A torchlight parade of skiers and riders traversing Okemo’s slopes precedes a spectacular pyrotechnics show in the Okemo Clock Tower base area. Naturalist Joe Karl leads a snowshoe hike up the mountain to offer a birds’ eye view of the fireworks. It is a common misconception that wine is the only beverage that food can be effectively paired with. On the contrary, beer actually has far more complex flavors and nuances that can be accentuated when accompanied by the proper food. This event will feature five gourmet courses paired with beers from Harpoon Brewing. The five course dinner is at 7:00 pm and the cost is $70 per person plus tax and gratuity. Call 800-245-7669 for reservations. Join Bolton Valley Resort for some backcountry exploring on splitboards and all mountain snowboards. There will be free demos available if you don’t have your own equipment or happen to be interested in trying something new. During the day there will be clinics, games, tours, food and beer. Hey Moms! Join Bromley Mountain for their 15th Annual Mom's Day Out Event. Show a picture of your kid(s) at the ticket window, and ski or ride Bromley all day for a $25 donation to the Southwestern Vermont Regional Cancer Center. Explore the history of Zinfandels and taste a variety of California’s best Zinfandels during this wine tasting. The cost is $20 per person and the tasting begins at 4:00 pm. Harpoon Brewing will be taking over the Station Tap Room, bringing Mount Snow their full line of Harpoon beers and bar snacks. You won't want to miss out on the unique opportunity to try out Harpoon and Mount Snow's collaboration beer, "SapTapper" Maple Milk Stout. The Telemark World Cup brings its globe-trotting trek to Vermont with a stop at Sugarbush Resort. A 3-day event featuring world-class, international competitors. Racers will participate in classic, sprint and parallel sprint races throughout the weekend. 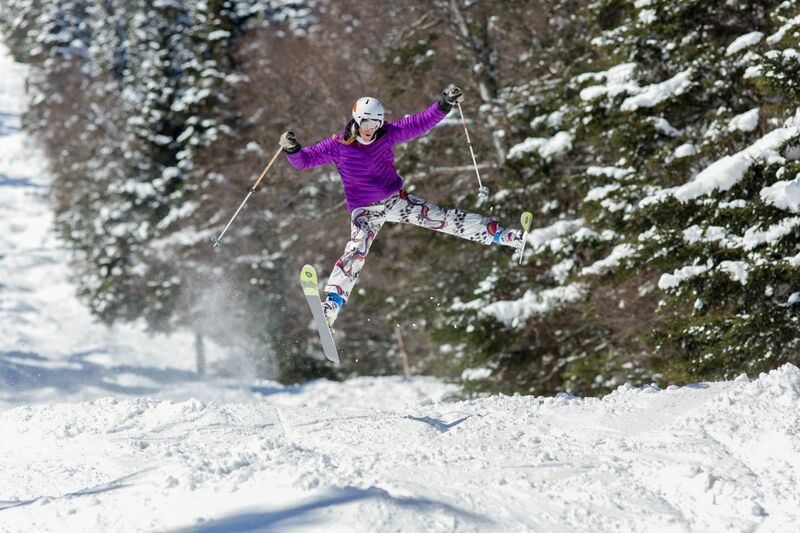 Ladies, join Sugarbush for a fun and inspiring multi-day ski and ride camp. Activities include instruction, demos, video analysis, equipment talk, and après fun in a camp specially designed for women only. The specific content is custom tailored to the needs of each participant and each group. The Vertical Challenge is returning to Bolton Valley on Saturday, January 27th. Known for its fun, family-oriented recreational racing, the Vertical Challenge event encourages the whole family to have fun on the slopes while working toward earning some fun prizes and giveaways. Entertainer, comedic artist, actor, producer, writer, musician, master of duct tape…and the Logger of course, Rusty DeWees does it all and keeps his fans and audiences laughing, as he puts it, "till their backs get better." Test your limits in this wild endurance winter challenge where participants climb up and ski down Burke Mountain – for fun, for speed, for glory! 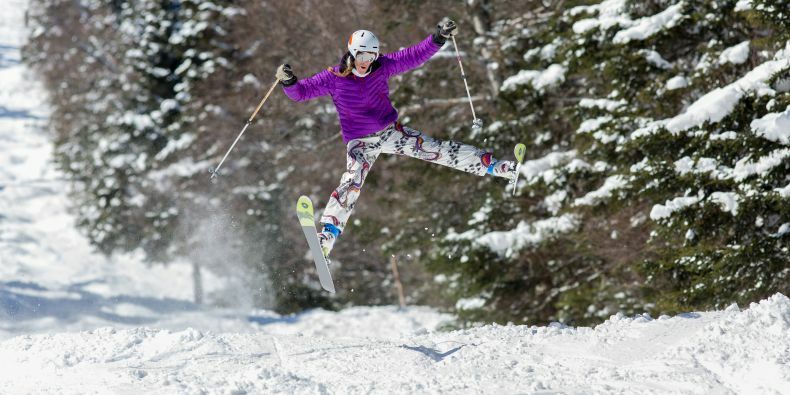 The Vertical Challenge is a series of free casual ski and snowboard races held at ski resorts throughout the northeast during each winter season. Skiers and snowboarders are divided by gender and age to compete for gold, silver, and bronze medals in each category. In addition to the races, there is a festival element, featuring snowy activities for all ages and prizes given away throughout a fun day at the mountain. Join Bromley for a fun, community event aimed at supporting Ski for Heat to help Southern Vermonters in need of winter heating assistance. Bromley will be offering $40 lift tickets to registered participants, with 50% of proceeds going directly to Ski for Heat. Show support by registering and raising pledges, or trying the hot wing challenge. The Wild Boar Tavern will have a "Bring on the Heat" spicy chicken wing special on the menu on January 28, featuring handmade Bromley Bomb Sauce. Finish your order in 3 minutes and it’s on the house. Plus, Bromley will donate an additional $25 to Ski for Heat, and you’ll win a lift ticket. Celebrate with Okemo in the Clock Tower Base Lodge. Sing “Happy Birthday” and enjoy a piece of birthday cake. January is Learn to Ski and Snowboard Month nationwide and to help spread the joys of learning, Ski Vermont is once again offering our $49 beginner package. This package includes a beginner lesson, lift ticket and rentals for one full day on the mountain. Eleven Vermont resorts participate in this program and purchasers can choose to redeem this package anytime during the month of January, excluding holiday periods. To learn more about this great deal visit SkiVermont.com. On Pink Powder Day skiers and riders can spend time on the mountain while raising money for Susan G. Komen New England. Purchase this special Pink Powder lift ticket in advance for February 2, 2018, and pay $29 and $15 of your purchase will be donated to Susan G. Komen New England. This special lift ticket offer is only available for purchase through, January 31. Save 30% on lift tickets to Stowe by purchasing at least 48 hours in advance online. Save over 35% with Sugarbush’s mid-week Ski & Stay Inn Style package. Book one or more nights at the Sugarbush Inn during January and rates will start from $133 per adult, per night. Plus, save 20% on adult lessons and rentals Monday-Friday with a continental breakfast included. 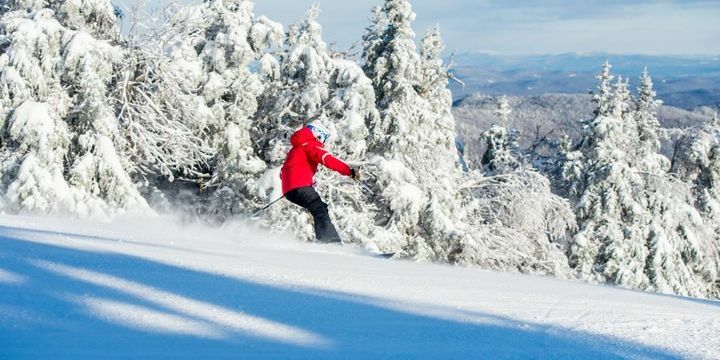 Also at Sugarbush this season, take advantage of Thursdays at Mt. Ellen with $30 lift tickets. Killington offers visitors many ways to save this season with their in advance online savings, Bring a Friend, Ski Free program to their 4 Day Discovery Program for Adult First Timers. Their innovative 4-day Discovery Program for adults includes a two-hour lesson, rental equipment and a lift ticket each day, all for just $399 for the Elan ski program or the Burton snowboard program. Learn on Elan skis and Burton snowboards, and receive brand new versions of these skis and boards mounted with bindings prior to completing the fourth lesson (MSRP $575). Purchase the Sun Mountain Card and your first lift ticket is free. This discount card virtually pays for itself the moment you buy it. Present the Sun Mountain Card to the Ticket Office upon your visit and save $30 off Monday through Friday, $20 off Saturday through Sunday (non-holidays) and $10 off on holidays. Purchase before December 15th and save an additional $10 on the Sun Mountain Card. Enjoy a break from the books and bring your friends to shred 97 trails, glades and top-rated terrain parks and enjoy everything Stratton has to offer. Spend your college break enjoying live music, late night events, food that’s way better than your college cafeteria, endless activities and much more. Book a one, two or three night stay starting at just $70 a person. Mount Snow lift tickets are now on sale with incredible savings for the 2017-18 ski season when you purchase in advance. But hurry, prices increase as more tickets are sold. Looking for a place to stay during your visit? Find all the best lodging options local to your favorite resorts through these Lodging Deals. To explore more deals and money saving opportunities visit Ski Vermont's Deals page. 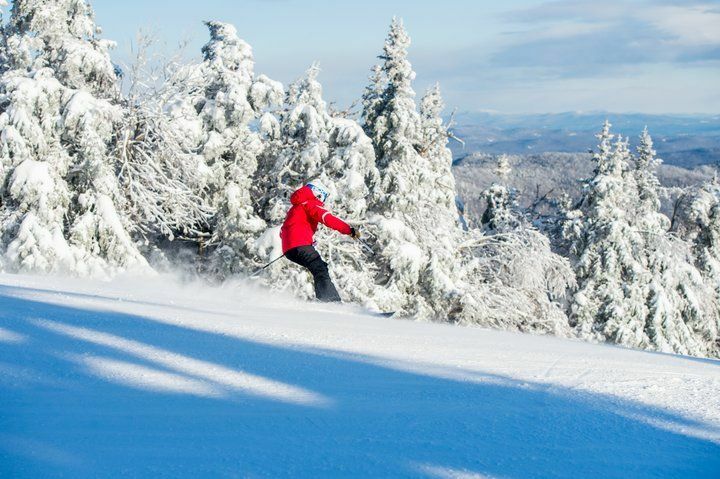 Did you know that Vermont has 20 alpine resorts and 30 cross country centers? Explore them this season with the Ski Vermont 2017-18 End-to-End Tour. Participants will visit different resorts each week and be entered to win tickets and prize packs when they submit photos of their adventures.